Maintaining your home can be a challenge when you suffer from allergies. Whether your allergies are seasonal or perennial, it is always better to be on the safe side when you are investing in cleaning products. You might be wondering how effective vacuuming is at removing allergens in your home. 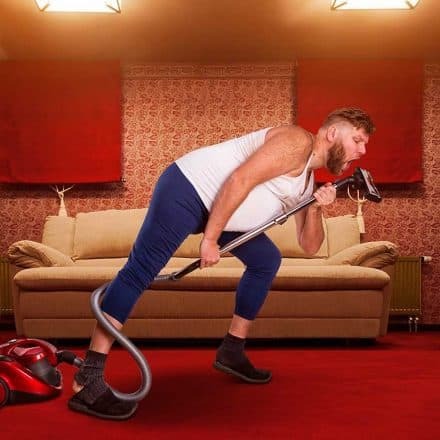 Vacuum cleaners, in fact have the potential to exasperate your symptoms – especially if you live with asthma. An attack can strike at moment if you don’t take the necessary precautions to protect your health. 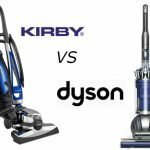 Choosing the right vacuum is a crucial step. Nearly everything in our environment can affect us, from the particles in our food to the plants on the windowsill. 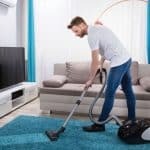 Here are the most important factors to consider if you’re purchasing a vacuum while struggling with allergies or asthma. The first decision you have to make is based on what type of surface you will be cleaning regularly. 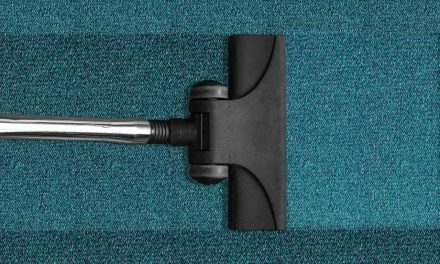 If most of the space in your home is covered in carpet, you should narrow your search to upright vacuum cleaners. These vacuums typically have a higher suction power, allowing them to penetrate surfaces that are not bare like hardwood or tile. Additionally, their added size and upright position makes it possible to hold more. That means you won’t have to empty the filter or change the bags as often as you might have to with a canister vacuum. If your home consists mainly of hardwood or tile, purchase a canister vacuum instead. These units are easier to control and will reduce the amount of time you spend navigating around each room. They are just as allergy-friendly and their upright counterparts if they are used on the recommended floor surface. Upright and canister vacuums have their own pros and cons, and your choice should come to personal needs. Canister vacuum cleaners will not produce as much noise, which is an attractive feature for a pet owner. HEPA (High Efficiency Particulate Air) filters were designed specifically for people with asthma or allergies. They can trap all the pesky particles that a traditional vacuum cleaner would release back into the environment. Going this route will give you the best air quality in your home through its hygienic technology. 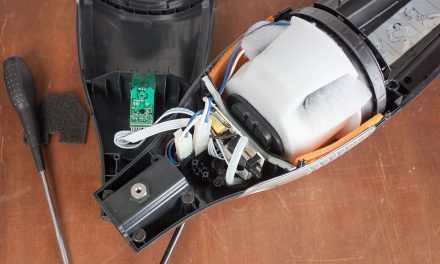 However, a HEPA filter is useless if it is on a vacuum cleaner that has a casing that is not adequately sealed to ensure that all of the air passes through the filter. 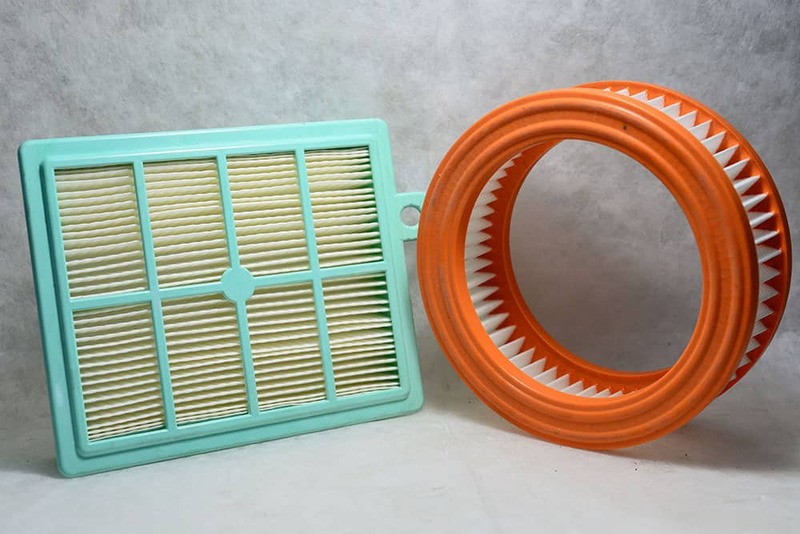 Cheaper vacuums may have a HEPA filter installed but dirty air might be escaping through the casing, bypassing the filter and back into your home. It is crucial that the vacuum remains airtight if the HEPA filtration is to function as designed and achieve 99.9% dust retention. 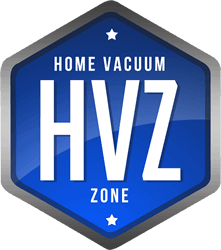 Two of our most highly rated vacuum brands here at Home Vacuum Zone are Miele and SEBO as both of these manufacturers understand the importance of a completely sealed HEPA filtration system. Miele vacuums are tested to the German TUV Nord standard which is a test mark for indoor hygiene and is well recognised across Europe. 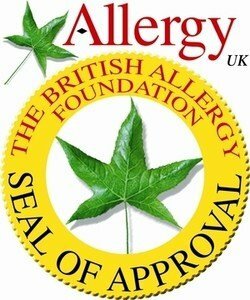 This test provides confidence that their products are suitable for allergy sufferers. 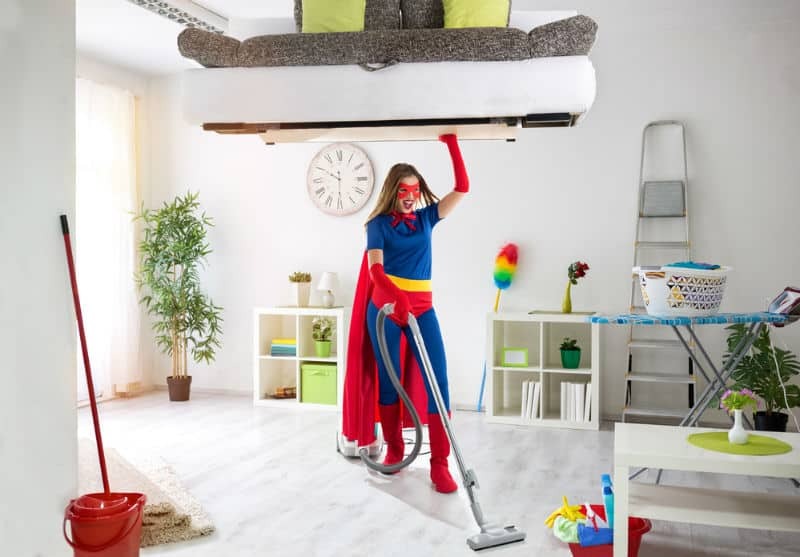 TÜV Nord has also recommended several Miele canister vacuum cleaners with HEPA AirClean filters for people with allergies. With the specialised casing seal the entire appliance, not just the exhaust filter, meets the requirements of the TÜV Nord. The filtered and discharged air is cleaner than normal room air. In addition, bacteria, allergens and mould spores remain safely in the dustbag. There are more cost-friendly options out there that attempt to mimic True HEPA technology. Be wary that you’re not getting a look-a-like or subpar filter at the time of purchase. These are fairly easy to spot, as they are made from material that is thin and flimsy. Many companies have designed washable HEPA filters for easy management. A good option for pet owners would be the Shark Rotator Powered Lift‑Away TruePet NV752. This model is easy to rinse, maneuver around the house, and stands upright for a thorough clean of your home. Although choosing a bagless vacuum is tempting for easy clean up, it is not always practical for someone suffering from allergies or asthma. You want to put as much protection in place as possible from the contents of your vacuum cleaner. The quality of vacuum bags you choose is also worth considering. Spending a little extra money on durable bags will make sure dust does not escape when you are replacing them. Our favourite bagged vacuum cleaners are manufactured by Miele and SEBO. On the downside, it is an added expense that you’ll have to consider at the time of your purchase – but it is definitely worth it. There are allergy-friendly, bagless options on the market if you’re willing to spend a little bit more on a reliable brand. The Shark Navigator Lift-Away Professional NV356E has a solid reputation and be purchased online for under $200. In addition to a HEPA filter, it is equipped with Anti-Allergen Complete Seal technology, making it safe for homeowners to dispose of what their vacuum has accumulated. 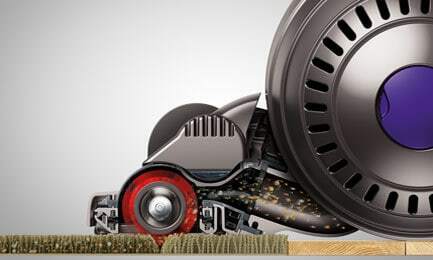 Some vacuums are designed with flexibility in mind, like the Dyson Cinetic Big Ball Animal Vacuum. The large silver ball on this model allows you to glide around the house without getting twisted in the vacuum cord. While this technology is definitely worth its premium price tag, it is not a realistic option (economically) for all consumers. If you’re still worried about those hard-to-reach spaces, make sure the vacuum you choose is fully equipped. You might not see the mess accumulating, but your airway will definitely feel it over time. 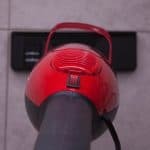 Although there are plenty of preloaded options, there are several accessories that you can get for your vacuum that will greatly expand your capacity to clean. They come in many forms: extensions, brushes, nozzles, liners, and so on. Make sure you do research on these accessories beforehand, because they probably won’t be covered under the same warranty on your vacuum cleaner. Search for solutions that are specific to your problem – research keywords like “pet” or “blind” attachment when you’re browsing your options. You can also look for vacuums that have affordable, replaceable parts. The power brush inside of a Miele canister, for example, can be bought online for relatively cheap if it breaks of malfunctions. This is an added bonus if you’ve chosen a shorter warranty on your product. No matter the budget you are working with, make sure you purchase a vacuum that is certified allergy friendly. This will help narrow down the wide range of companies that claim to be “safe” for a consumer with health concerns. However, you shouldn’t immediately believe that a vacuum is high-quality just because it is certified. Sometimes, manufacturers pay outside parties to verify their products, making it hard to decide what has actually been truly independently tested by professionals. The best advice here is to use a certification as a starting point, but not as the only deciding factor in your consumer journey. You should also look into brands that offer an attractive warranty. 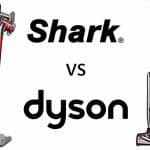 Companies like Dyson and SharkClean are willing to offer an extended warranty because they are confident in the quality of their product. Advancements in technology have made it affordable to protect your health without compromising on trustworthiness. Removing pollutants from your home is essential when you have allergies or asthma. However, the removal process can be a risky game if there are not safety measures in place. Make sure you select a product that is health-conscious, efficient, and reliable for your lifestyle. 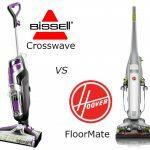 Beater Bar vs No Beater Bar – Does Your Vacuum Need One?